I found a restaurant called Manik Organik that used to be completely vegetarian (now they serve fish and chicken) in Sanur Beach. This is the only place I have seen acknowledging gluten-free and vegan on any menu in Sanur… and trust me, I have been looking. Most of our time in Bali so far has been walking around and taking it easy to get plenty of rest for our adventures to come. The only other place I have seen that has the word vegetarian on the menu is at Bonsai Cafe (right on the Sanur Beachfront). Anyway I was so happy to find this place again via happycow.net. I tried the nasi campur, which was labeled vegan and gluten-free. 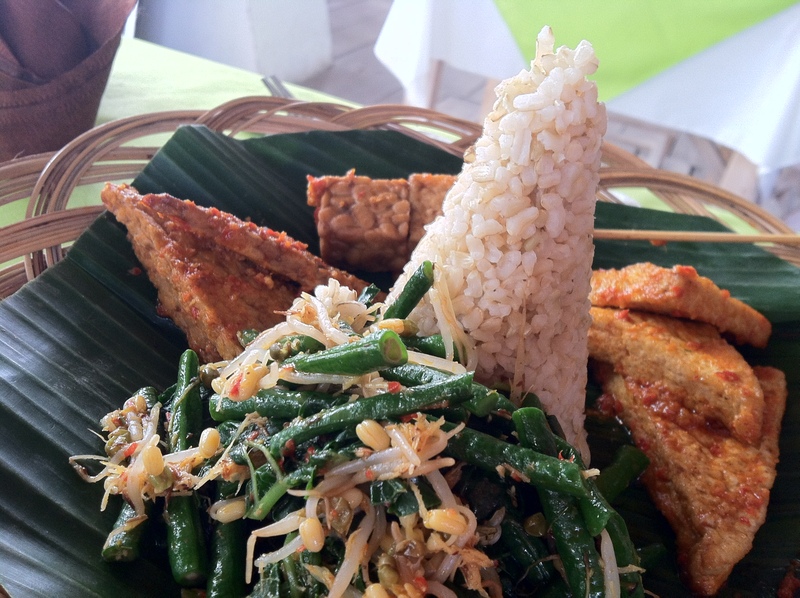 It was delicious and seemed very traditional Balinese cuisine, served on a banana leaf. There was a mountain of brown rice and spicy sombal coated tempeh and tofu. With a green bean, water spinach, and sprouted vegetable dish (this was really tasty since it has some toasted coconut mixed in… both savory and sweet) and some tempeh and tofu kabobs. They have a great selection of juices too. I had the carrot, apple and parsley blend. 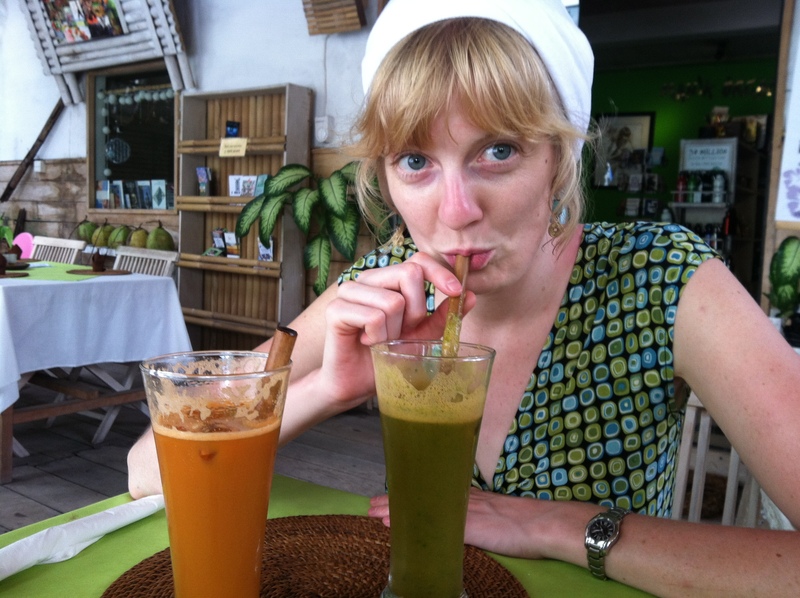 Our next stop is Seminyak, Bali which apparently has lots of vegan and gluten-free options. More to come!! !